Killimor parish is justly proud of producing its share of clergymen down through the years. Brian Clarke was born on the 14th December 1917 in Lisaniska to Brian Clarke and Brigid Kemple. He had two brothers and five sisters. After his primary education, Brian studied with the Mill Hill Missionaries and was ordained a priest on the 29th June 1944, in Glasgow Cathedral, Scotland. He worked as a missionary in Pakistan and in Ireland. He retired in 1989 in Dublin. He died on the 25th June 2008 at the age of ninety years. He is interred at Bohernabreena Cemetery, Tallagh, Dublin. Rev. Fr. Joseph A. Dervan. Fr. Dervan was born in Ramore, Killimor, and was ordained a priest for the Society for African Missions. During World War ll, when the missions were closed, he went to the United States and since 1942 had been a member of the Youngstown Diocese. 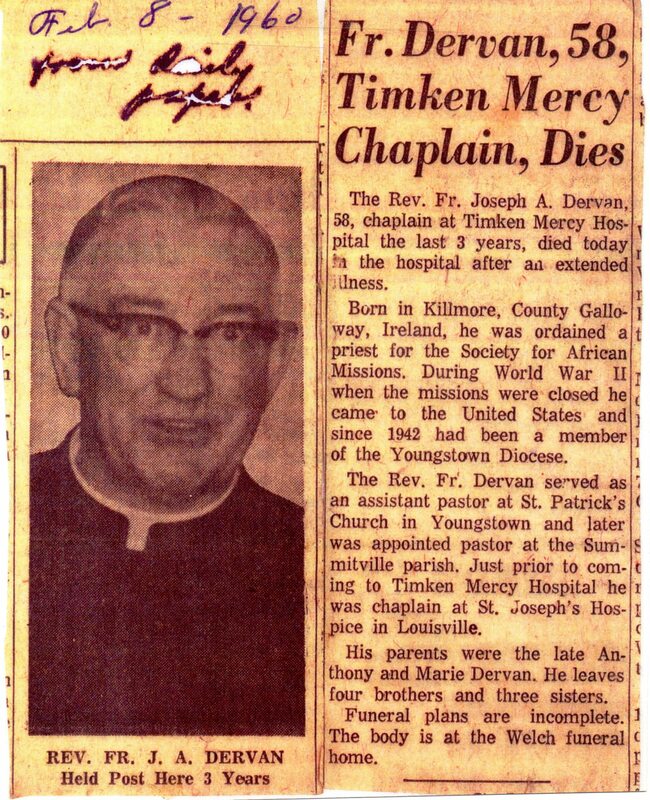 He later was appointed pastor at the Summitville parish (Ohio) and afterwards he was chaplain at St. Joseph’s Hospice in Louisville (Kentucky). His parents were Anthony and Marie Dervan. He died February 8th 1960. Fr. Hanrahan was born in Garryard on 30th April 1907 to parents Martin Hanrahan and Margaret Croffey of Killure. He received his primary education in Killimor National School and then attended St. Joseph’s College, Ballinasloe. 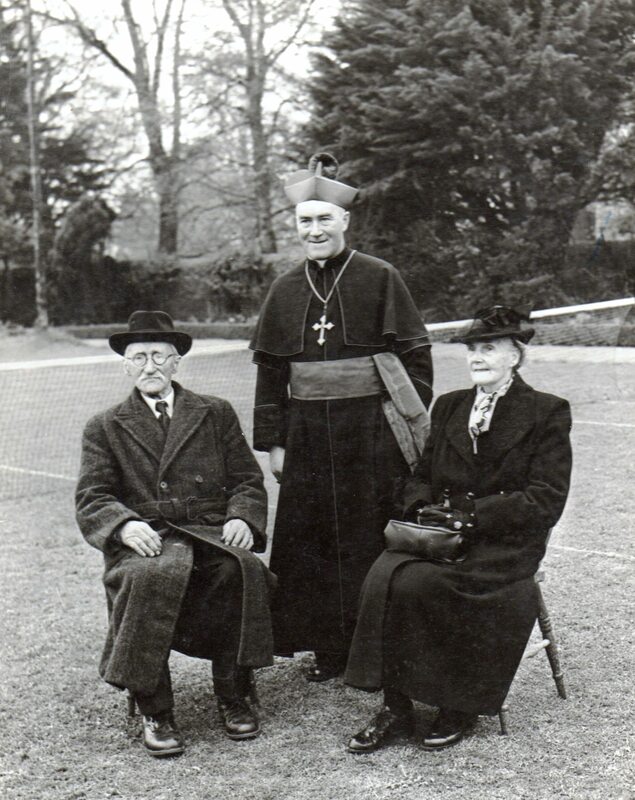 He was ordained in Thurles for the Overseas Missions on 10th June 1937. 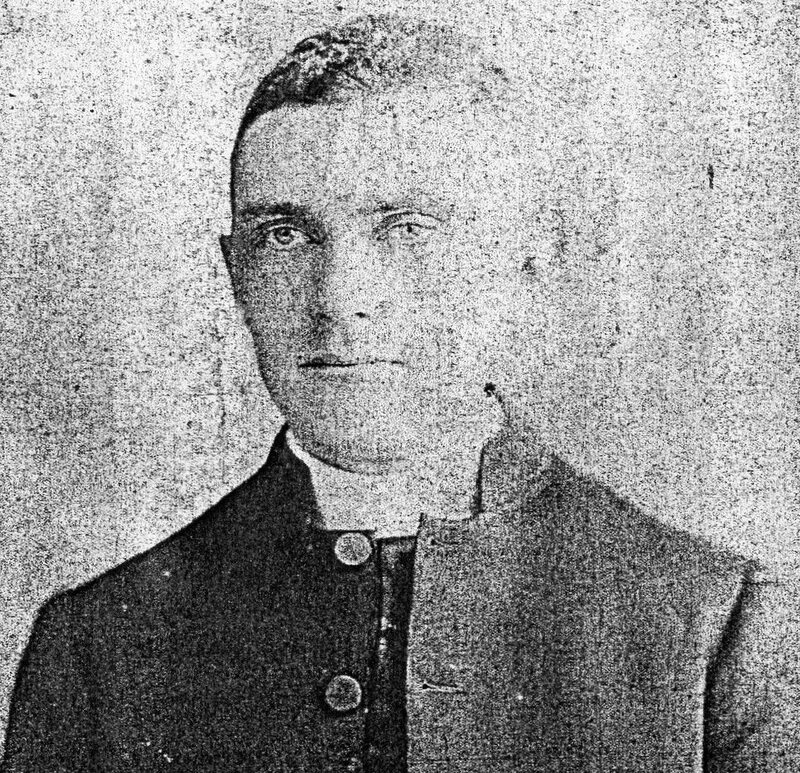 He served in three parishes in New South Wales namely, Cessnock, Tarrow and Newcastle. He died 1st February 1988 and is interred in Sandgate Cemetery, New South Wales. Fr. Pat Kenny of Kylecrow, Killimor, is son of John and Nora Kenny (née Silke). He attended Raheen National School and afterwards went to secondary/boarding school in St. Anthony’s College, Clara, Co. Offaly. He completed his Leaving Certificate examination there in 1960 and went to work in London. He spent from 1963 to 1969 in St. John’s Seminary, Waterford, and was in Vancouver Archdiocese, Canada, between 1969 and 1981. He served in Woodford Parish in 1982 and ‘83 and studied in Rome in 1983 and ’84. Fr. Kenny was chaplain in Portiuncula Hospital, Ballinasloe for ten years and took a sabbatical in ‘94/’95. He spent three years in Kilrickle parish and was then appointed parish priest of Bullaun/New Inn in 1998. Numerous references are made to Fr. John Kirwan in Fr. Egan’s book The Parish of Ballinasloe. Fr. Kirwan was the first Administrator of the mensal parish (a parish in which the Bishop is really the parish priest) of Ballinasloe. He was a native of Oxgrove, Killimor. Fr. Kirwan ministered as curate in Ballinasloe from 1855 to 1857; as administrator in Ballinasloe between 1857 and 1882; he was parish priest of Cappatagle from 1882 to 1885 and finally he served as parish priest in Eyrecourt between the years 1885 and 1893. He died in 1893 and is interred within Eyrecourt church. Fr. Michael Kirwan, brother of Fr. John, possibly went to Auckland, New Zealand. Very little information is available about his life or his ministry in the church. He died circa 1900. Fr. Patrick (Laurence) Lyons O.S.A. Fr. Laurence was a man of three parishes! He was born on 19th September 1925 in Lisduff, was baptised in St. Laurence’s Church, Tynagh, went to Coolagh Old National School, and received First Holy Communion and Confirmation in St. Brendan’s Church, Mullagh. His parents were Patrick and Kathleen Lyons (née Keary from Kylemore, Killimor). He had family, friends and many associates in Killimor and celebrated Mass in our church when on vacation. 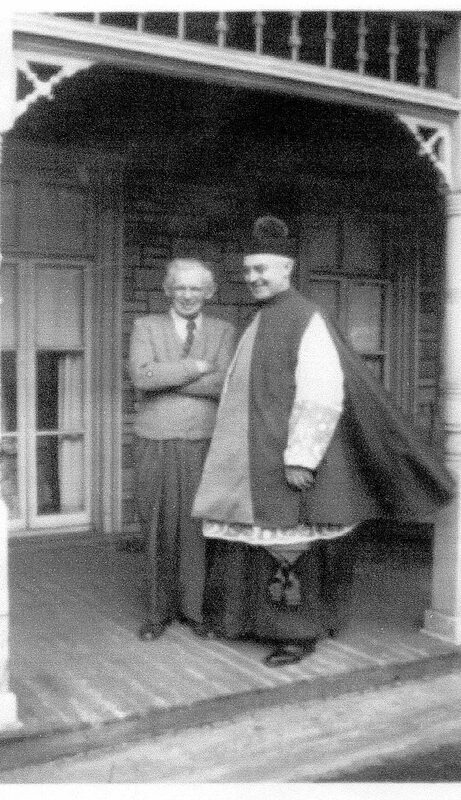 He entered the Augustinian Novitiate in Orlagh/ Rathfarnham, Dublin in 1945, and was ordained an Augustinian priest in Rome on 22nd September 1951. He began his priestly ministry in Yola, Nigeria, West Africa in October 1952. He served as priest, Augustinian Superior, First Prior and Parish Priest of the Benin City Catholic Community until 1988. He then became Prior of the Augustinian Community, Washington Street, Cork, until his retirement in 1996. Fr. Laurence died in Cork on 11th February 2006. Fr. Thomas A. Matthews was born in Killimor on 2nd February 1898. He was the son of John and Anne Matthews, who originated in Aughrim, had a grocery shop in Clontuskert for some time, and eventually arrived in Killimor in 1880 to open a public house. Thomas Matthews attended Killimor National School and entered St. Joseph’s Junior Seminary, Ballinasloe in 1911. He went to Maynooth in 1916, arrived in Los Angeles in 1921, and was ordained at St. Mary’s Academy, Los Angeles in 1922. He ministered in various parishes and eventually came to Holy Rosary Parish, San Bernardino in 1933, where he took care of various hospitals, established a preschool clinic for children, purchased a church for Mexican people, built and furnished a church at Lake Arrowhead-the Rectory, School and Convent at Holy Rosary. He served on many committees and was a Fourth Degree Knight of Columbus. He died in Holy Rosary Parish on 15th December 1961. Below: Dr. Patrick Winters with his parents Patrick and Kathleen. Dr. Patrick Winters, S.C.A., son of Patrick and Kathleen (née Broderick), Ramore, Killimor was born circa 1907. He received his primary education at Killimor National School and afterwards attended the Diocesan College at Garbally, Ballinasloe. In October 1931 he entered the Society of the Catholic Apostolate, Thurles, and in 1935 his superiors sent him to the Gregorian University, Rome, for his theology course. He was ordained in Rome, in 1938, and in 1940 he and two companions went to Tanganyika working with the Missions of the Holy Ghost Order. He was consecrated a bishop in Thurles Cathedral in 1952. This page was added on 16/02/2017. We are a Whelan family in Texas related to Peter Whelan, his son MICHAEL who was born in your area in Sept 1812 and his brother Thomas. We are trying to find our relatives. Any help would be appreciated?